Milky Way over Paranal Observatory. 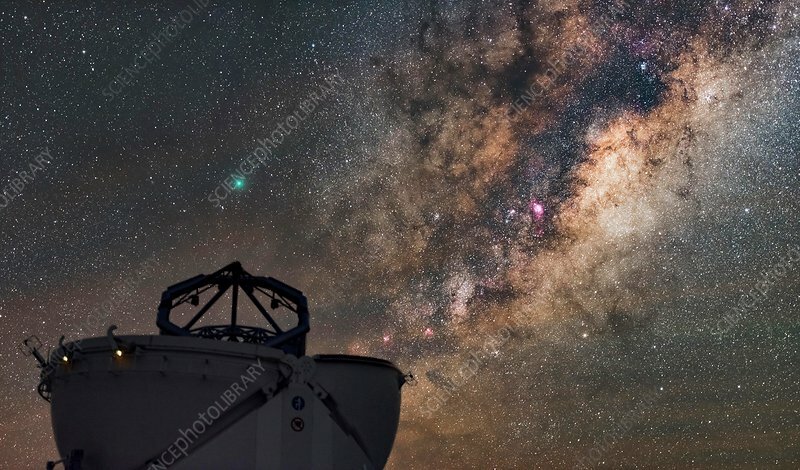 Milky Way and comet 252P/Linear in the night sky over the Paranal Observatory in the Atacama Desert, Chile. The Paranal Observatory is operated by the European Southern Observatory (ESO). It is situated at an altitude of 2,635 m, on Cerro Paranal. Comet 252P/LINEAR is a periodic comet and near-Earth object discovered by the LINEAR survey on 7th April 2000.